Another week of random quotes. Could be from the 80s, could be from 2011….Just never know…. 1. Soon to be irrelevant. He’s in the third year of the best four years of his life. 2. Give me a minute, I’m good. Give me an hour, I’m great. Give me six months, I’m unbeatable. 3. I said you could thank me later. It’s later, Bert. 4. I’m an excellent driver. 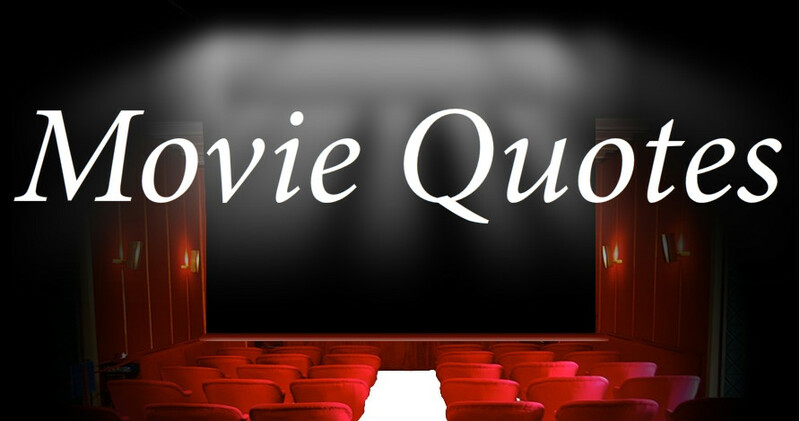 If you can stump us with a quote, leave that in the comments, too. We’ll give it a shot! At least I am pretty sure that #3 is The Blindside. I’m so lame. Not a clue. Ugh. You’re not lame. These were tricky ones! That’s funny. Happens to me a lot. I picked some tough ones, huh? 1 and 4 – #1 – I am Number Four and #4 – Rainman. Great flicks! Happy Wednesday, Lynn! You’re right, Lori! Nicely done. Hope you have a great day! Oh yeah, Ralene. You got it!!!! I’m terrible. But #2 reminds me of my son. NICE job, Kendall. You’re right on!! I only know 2 of them. #2 is the A-Team. That one I’m 100% sure of. I think #4 is Rainman but it could also be from a drving movie (Fast & Furious or Gone in 60 seconds or something) lol. but my first thought was Rainman so I’m going with that as my guess for #4. You got it, Christal!! 🙂 Nicely done! The rest have me completely stumped! omg, i have no idea, lol!